Joe had a haircut in the Indian shop. 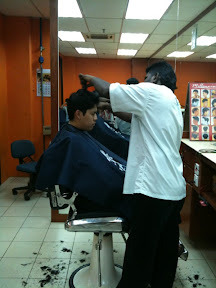 Indian barber is the cheapest u can get your hair cut in KL. Of course not for women. They will stare at you if you ask them to cut n probably ask you to go somewhere else.